The speed of all serial links is E1 and the speed of all Ethernet links is 100 Mb/s. A static route will be established on the Manchester router to direct traffic toward the Internet over the most direct path available. 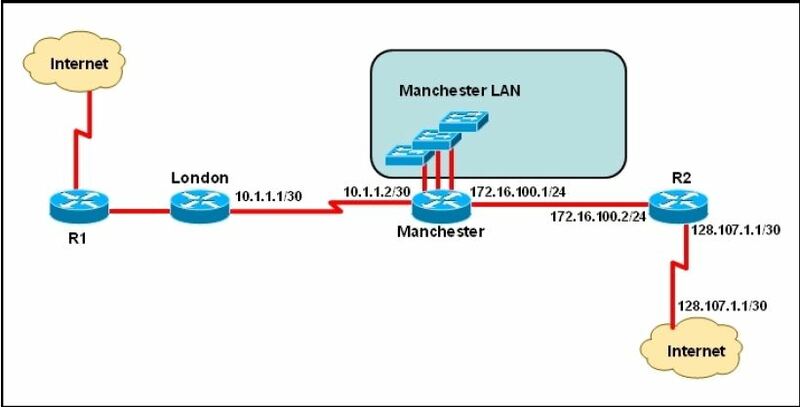 What configuration on the Manchester router will establish a route toward the Internet for traffic that originates from workstations on the Manchester LAN? networks—those with only one exit path out of the network.